On Thursday, December 11th, BSGE juniors visited the nearby Fisher Landau Center for Art on an interdisciplinary field trip for both Visual Art and English. The Center is located on 30th Street and 38th Avenue in Long Island City, and houses a collection of contemporary American art. 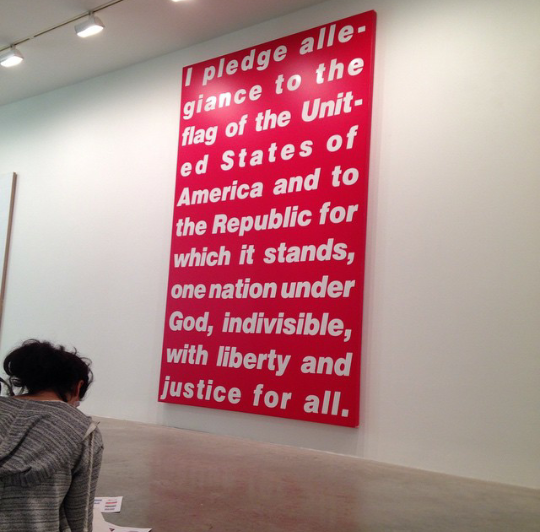 The 11th graders walked over after lunch to see works by modern artists Barbara Kruger, Glenn Ligon, Jenny Holzer and others. 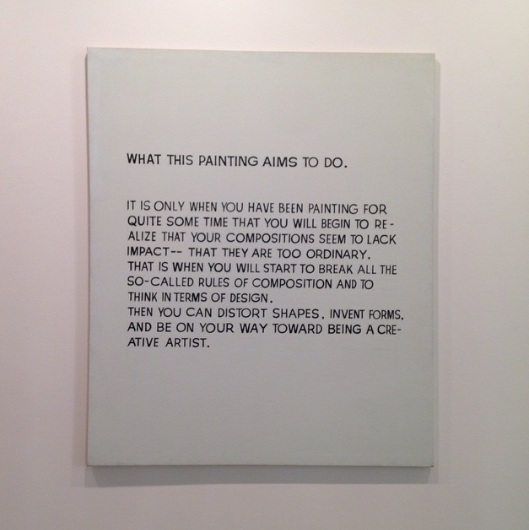 Many of the artworks challenged the students’ definition of art and abandoned any normal traditions – using bold, strong words and messages rather than aesthetic qualities to impact the viewer. Students were asked to analyze the artworks they saw both from an artistic point of view and from a literary point of view. They connected the pieces they saw to short stories and novels they have read recently in English class. “After talking to Ms. You about a specific artwork by Jenny Holzer, I realized that artworks can be analyzed like novels and have similar themes and ideas,” Chaimaa Riad ’16 said. “The trip made me realize that there are many different types of art and made me more open-minded about art in general.” Others were surprised to find connections between the art they saw and brand advertising. “I enjoyed the trip because I got to see the original artwork by Barbara Kruger (“Pledge”) that the brand Supreme was influenced by in their logo,” Justin Moy ’16 explained.